Multifocal motor neuropathy (MMN) is an illness that leads to feelings of weakness while with no substantial loss of sensation. MMN will not lead to death or cause any adverse complications with breathing or swallowing. That being said, the illness can lead to intense feelings of discomfort as well as disability, and although it is treatable, it is rarely curable. MMN is quite a rare condition, affecting, on average, 1 in 100,000 people, and affecting men almost twice as much as women. The condition generally affects persons between the ages of 35 and 70, with rare exception. The muscles within our bodies are controlled by motor nerves, which send electrical signals to the muscles from the brain to tell them to move. Multifocal motor neuropathy is a condition that affects the motor nerves, making it more difficult for them to send electrical signals to facilitate bodily movements. This leads to your muscles feeling weak, as well as muscular twitching and cramps. As mentioned, the condition is not life threatening, and many people who have MMS are capable of living their day-to-day lives with no problems, and without the need of treatment. 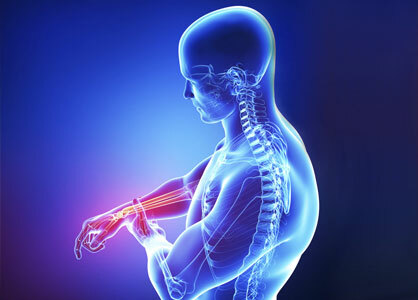 However, the disease can get progressively worse and cause you to feel increased weakness, causing difficulty in carrying out day-to-day tasks, although in most cases treatment will help to strengthen the muscles. The exact cause of MMS is unknown, although research is ongoing on the exact cause of it. What is currently known is that MMS is an autoimmune disease, meaning that the body’s immune system thinks the nerve cells are aggressors, and therefore, mistakenly attacks them. As mentioned, multifocal motor neuropathy leads to feelings of muscular weakness. This is typically first felt in the hands and arms, and often more severely on one side. Muscles tend to feel weak, and may cramp or twitch uncontrollably. Although the condition often starts on the hands and fingers, but eventually also affects the legs. MMN will lead to no sensations of pain, and sensation of touch is also not affected, which are controlled by sensory nerves. Although the symptoms may not be bothersome at first, it is possible for them to exacerbate over time as you get older. Electromyography (NCS), which is used to measure muscle activity. Nerve conduction studies (NCS), which is used to measure rapidity and efficiency of nerve’s signals. Although there are methods of diagnoses for MMN, it can often prove to be difficult, for numerous reasons. Firstly, the symptoms associated with the illness may be so faint that the individual may feel no need to seek medical help. Meaning that they will leave the condition untreated, this can have no effect in some instances, but can also cause the symptoms to worsen. Secondly, the symptoms of MMN mimic that of ALS (Amyotrophic Lateral Sclerosis), also known as Lou Gehrig’s disease. As, sadly, ALS can lead to unfortunate and untimely death, a misdiagnosis suggesting that you have ALS can lead to high amounts of panic and/or stress. Blood tests which test for antibodies can be used by doctors to distinguish MMN from ALS, although the antibodies do not appear in all MMN patients. Multifocal motor neuropathy is often treated successfully with immunoglobulin administered intravenously. This treatment has proved effective when carried out at regular intervals, often one week to several months apart, depending on the severity of the illness. If the patient is showing to be unresponsive to intravenous immunoglobulin (IVIG), then other treatment methods may be tried. Other forms of treatment include immunosuppressive therapy, which helps to reduce immune system efficacy, cyclophosphamide, or rituximab. Although early treatment can often reduce the intensity of symptoms, or resolve the condition completely, it is unfortunate that symptoms can worsen for MMN patients over time, regardless of treatment. That being said, continued treatment, even after symptoms have worsened after years of manifestation of the illness, can still be effective. Most patients are able to carry out their normal lives after being diagnosed with it.